I’m based in Crofton, near Orpington or Bromley, and can often visit you the same day. Are you concerned about taking your computer to a shop to be fixed by a teenager? Would you rather see what’s happening while I fix your problem? I love to show you what I’m doing while I do it! 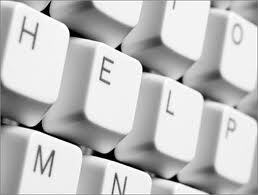 I also help and support people with computer problems in Orpington, Petts Wood, Chislehurst, Bickley, Bromley, Beckenham, Knockholt or anywhere near that sort of area, then give me a call!